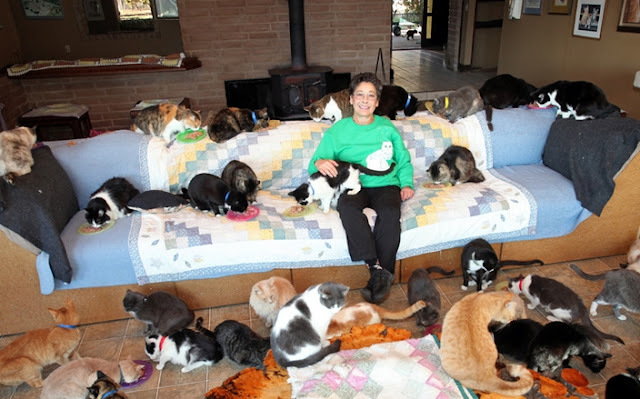 Sixty-seven-year-old Lynea Lattanzio now lives in a trailer on her six acre property and allows the cats to run freely through the five bedroom house. 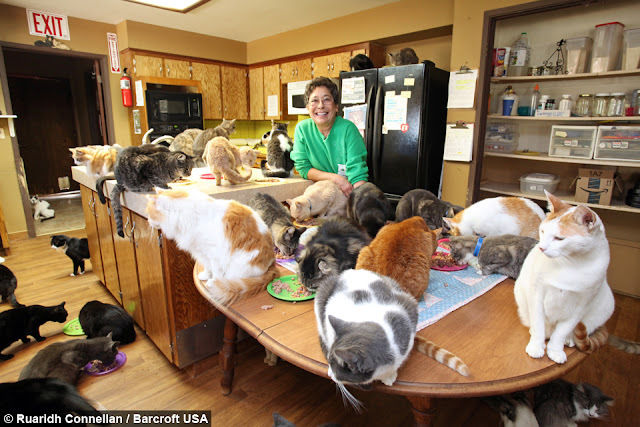 She started fostering cats in 1992 and acquired 96 by the end of the year - successfully rehoming all of them. 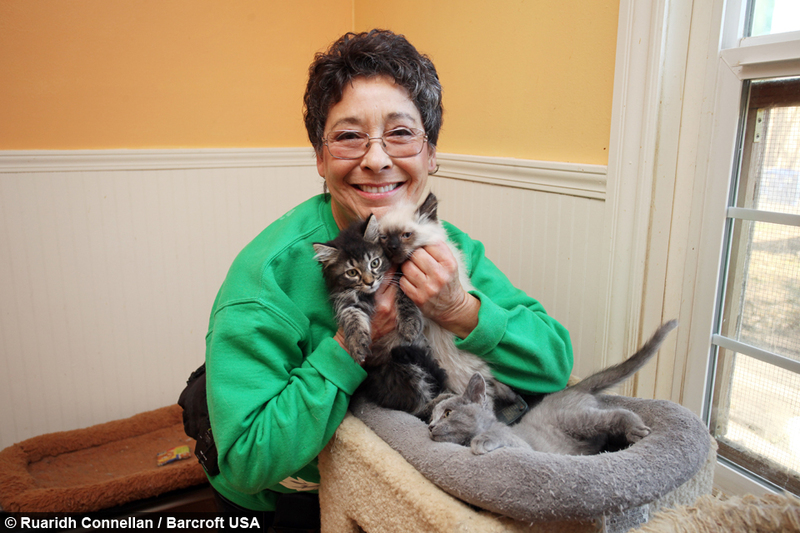 In 1993 she became a veterinary technician to help keep the animals’ medical costs down and the number of cats continued to grow. Today she runs Cat House On The Kings which is California’s largest no-cage, no kill sanctuary for feral and abandoned cats. 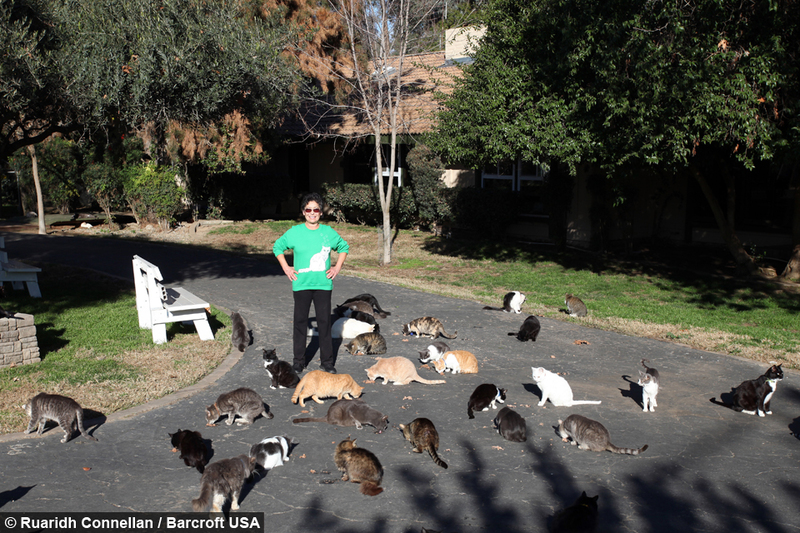 Lynea said: “I’m at the top of the list of eccentric cat ladies - I don’t think there has been anyone who has lived with 28,000 cats in 24 years. That’s probably a record. 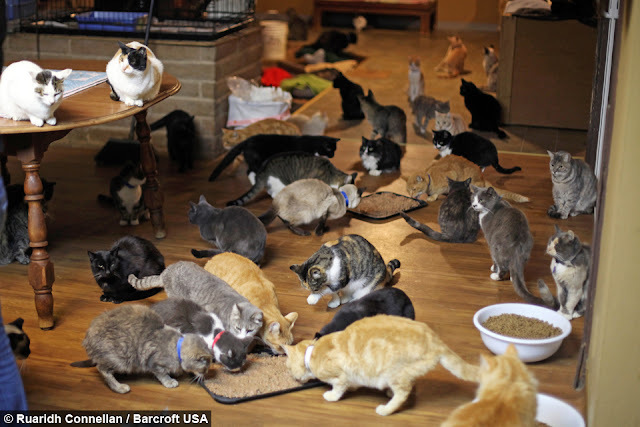 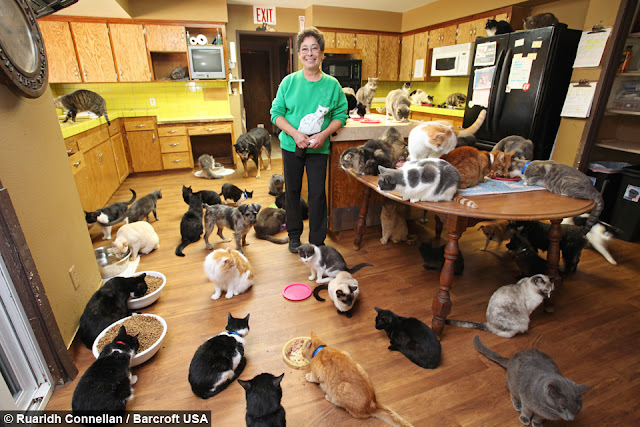 Responses to "Ultimate Cat Lady: Woman Shares Her Home With 1,100 Rescue Felines"
How do you keep the male cats from spraying everywhere? 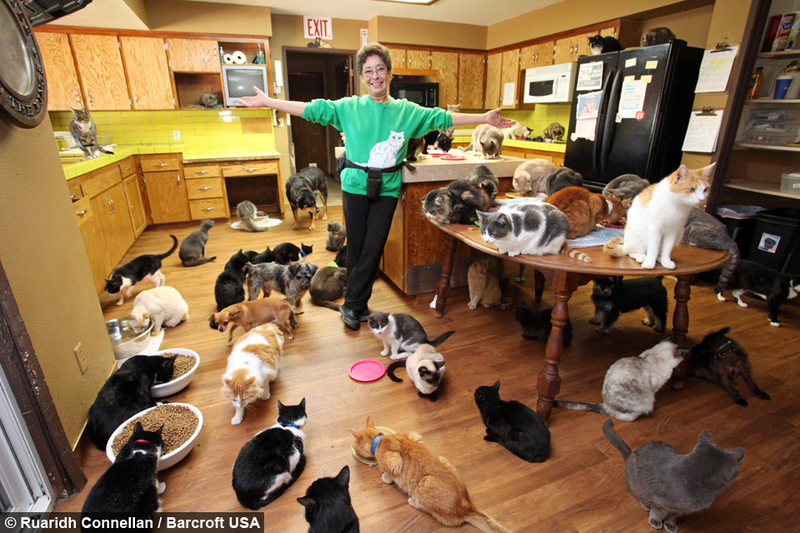 I can't stand it.